I once met a runner (we will call her Suzie) who was slated to have plantar fasciitis surgery. She wanted to know if there was anything she could do to avoid “going under the knife,” and I told her to try a movement screen with a physiologist. She learned that the problems she was experiencing were not a result of “bad feet,” but rather how she was putting pressure on her feet. She was prescribed three simple strength exercises to help establish better patterns. After doing the exercises twice daily for two weeks, Suzie’s foot felt well enough that she was able to start running again — for the first time in 20 years. She canceled the surgery and eventually made a full recovery. Hyper-localized exercises or even surgery for a problem area (the plantar surface of the foot and stiff ankle complex in this case), could be missing the “driver” (or true cause) of the problem. Below you’ll find five general exercise protocols that may help individuals with tight calves, stiff ankles, and plantar fasciitis symptoms. Please keep in mind that these are generalized recommendations and in no way should take the place of a qualified medical professional (usually a PT) performing a proper movement screen and diagnosis. Since calf muscle contraction facilitates blood flow back to the heart, a little calf and foot rolling can be a good thing not just for your legs, but for your whole body (especially after a long trip/flight where blood tends to pool in the lower leg). As a clinician specializing in post-rehab/prehab work, I encourage individuals to roll out the feet and calves prior to beginning a warm-up for any given workout (sort of like a warm-up for your warm-up). It should not be painful, but it also doesn’t need to be extremely comfortable. My rule of thumb is that if you find yourself holding or altering your breath because you can’t relax, you need to back off the pressure. The immediate effects of foam rolling are still being investigated, but a roller that is denser and firmer appears to facilitate greater joint range of motion and localized blood flow. A lacrosse ball or something acutely round is ideal for the bottom of the foot. Mobility in your toe joints, primarily the ones at the bases of your toes (known as the MTP joints), will let you roll smoothly from the outside of your foot to push off with your big toe as you run or walk. This helps activate your glute and extend your hip for a more efficient and powerful stride. Mobilization of the toes is very effective in increasing range of motion through a workout, and allows your calves to stretch and preload properly. Individuals who are unable to extend or push off their big toe tend to have tight ankles, calves, overdeveloped quadriceps, and underactive gluteals. If you want to check your mobility, grab your foot and slightly point your toes. Relax the muscles on the bottom of your foot and push your big toe back towards your shin while keeping your ankle stable. Check how far it goes. Surprised? People with stiff MTP joints (especially the great toe) have all sorts of problems from osteoarthritis, groin pain, hip impingements, low back pain, knee pain, and plantar fasciitis. If this sounds like you, loosen up those stiff toes with some rolling before your next workout! 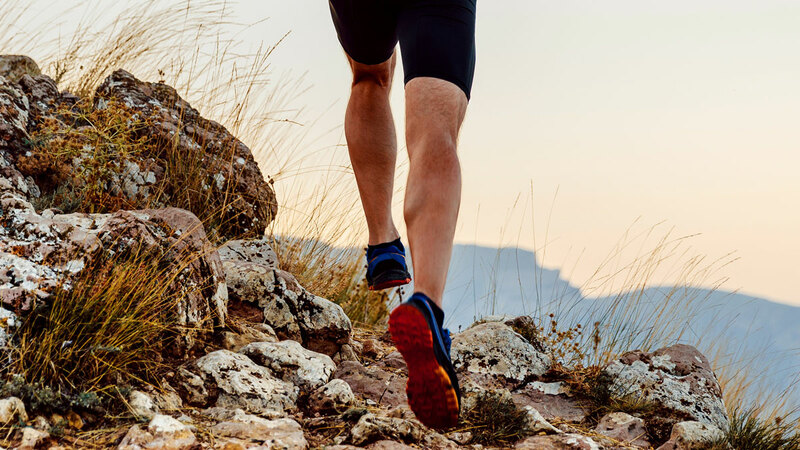 In my experience, athletes with tight calves tend to also have a “sway back posture.” From the about the middle of the spine down to the hips, it looks like everything is shifted forward, sometimes even producing a “false belly.” This posture causes excessive tension on the achilles tendon and calf muscles, thus contributing to stiff ankles. If you notice that your body (or one of your athletes’ bodies) appears to have a significant “sway” to it, then ankle mobilization exercises will be negated due to the constant load put on the feet and calves. Instead, you’ll want to address the deep abdominal stability to help decompress the low back, take pressure off the groin area and hip flexors, and allow the toe flexors to relax. The best way to learn how to use these deep abs is with a balloon on your back, or seated with your spine round and hips relaxed. Take deep exhales into the balloon and imagine tightening around your belt area first with a crescendo breath (soft to LOUD), and then imagine pulling your pubic bone to your nose with ONLY your lower abdominals (no other muscles…get Zen!). It’s important to relax everything else while you begin to strengthen these muscles. Please see the video demonstration below. Often both the deep and superficial calf muscles get tight from being under load all day (i.e. sway posture). The stretches below may be very effective for relieving this tightness, especially in combination with the other recommendations in this article. I try to encourage my clients to hold stretches between five to ten seconds. I think that stretching beyond 30 seconds may lead to further pain and dysfunction, but if it helps you then go with it! These stretches should be performed after rolling out and performing a proper warm-up. Once you have stretched the calf, ankle, and foot, as well as stimulated the deep abdominals, this basic strengthening protocol can help prevent recurring injury. These exercises should be performed as neutral as possible from a side-lying position. If you can’t get comfortable in neutral, then slightly flex your lumbar spine —make sure the gesture leg is still as neutral as possible or in slight hip extension. This will help facilitate the gluteus medius recruitment over a TFL (IT band problem muscle) dominance. People who tend to have stiff ankles and tight calves also tend to be quadriceps dominant. The TFL can contribute to this and therefore the ability to abduct a hip on a person with tight calves becomes very hard. This will teach you how to load your hips without “gripping” your toes, and really get into both right and left stance properly. I think that single leg extensions, bird dogs, single-leg supported shoulder bridges, and hip rolls with a smaller range of motion are excellent choices. The gluteals are often atrophied when we struggle to roll through the foot as mentioned above, so giving the gluteals a chance to develop will help contribute to relaxing the hip flexors and quads. Combined with the other protocols listed above, this should help to keep you on your heels, but be careful about assuming the exercise will take care of everything. You should not feel the front of your hip in a hip roll. This will only contribute to overactivity of the hip flexors. These exercises are just as much (if not more) about what you DON’T use (i.e. hip flexors/calves) during the exercises, rather than what you DO use (gluteals/deep abs). Tim is a Ph.D candidate in Exercise Science at the University of Texas-Austin. His research focuses on the deep hip muscle neuromuscular activity in individuals with low back pain. He is also the microscopic gross anatomy lab director and instructor in the biology department. 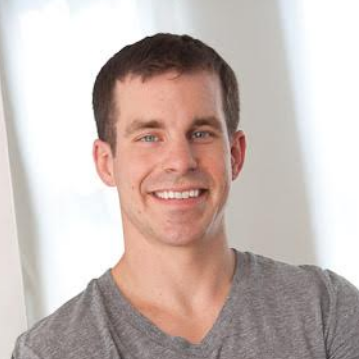 In addition he is a STOTT PILATES(R) certified instructor trainer, licensed sports massage therapist and certified USA Triathlon(R) Coach. He travels the world teaching seminars and courses on "prehabilitative" and "post-rehabilitative" core strengthening strategies for athletes and sedentary individuals. Tim is also an active age group Ironman(R) triathlete and ultra distance runner and cyclist.